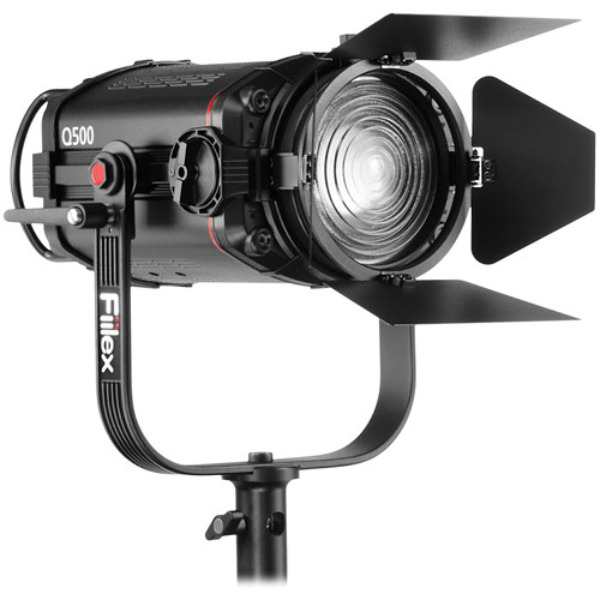 The Q500 leads the revolution in LED Lighting, offering intense power, color accuracy and control in a compact form. Boasting 750W of color-tunable output, the lighting world just got a lot brighter and a lot more efficient. With a color temperature range between 2800-6500K, hue control ±.25 Magenta/Green, and cool running temperature, the Q500 lets you leave your color correction gels, scrims, and grip gloves behind. 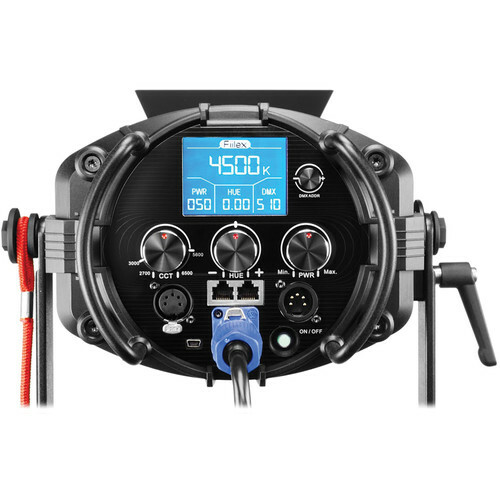 An LCD display makes setting your color temperature, intensity, and hue a breeze by allowing you to adjust your settings efficiently and accurately in seconds before even turning the light on, and the built-in DMX allows you to add the light easily into your set-up for remote operation. The Q500 also saves you valuable time in post-production thanks to its stellar color accuracy (CRI ≥93) and flicker-free light, capturing your shot at any frame rate. Let the Q500 take your work to the next level and redefine what is possible with LED lighting.